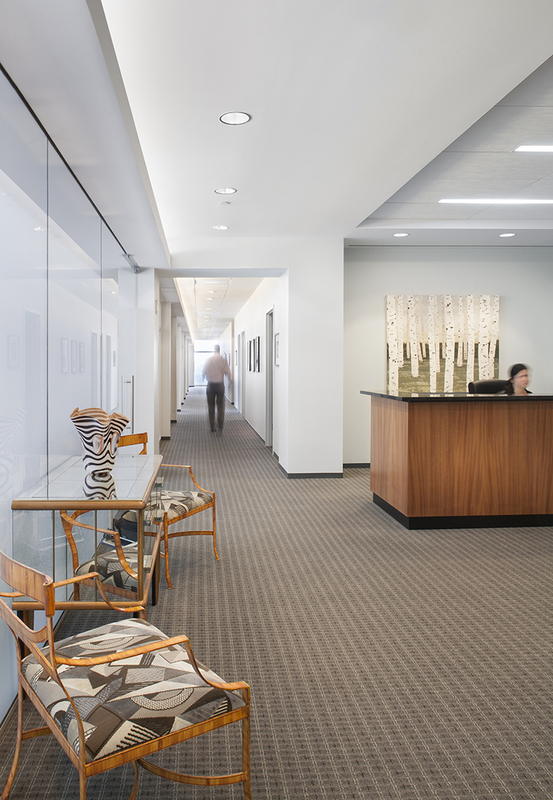 Art, Daylight and Views animate the offices of Evert Weathersby Houff, Attorneys at Law. Support space partitions provide a canvas for Art in the corridor adding interest along your destination path. Daylight, borrowed from offices through transparent and translucent glass storefront systems, illuminate the corridor while providing office privacy. 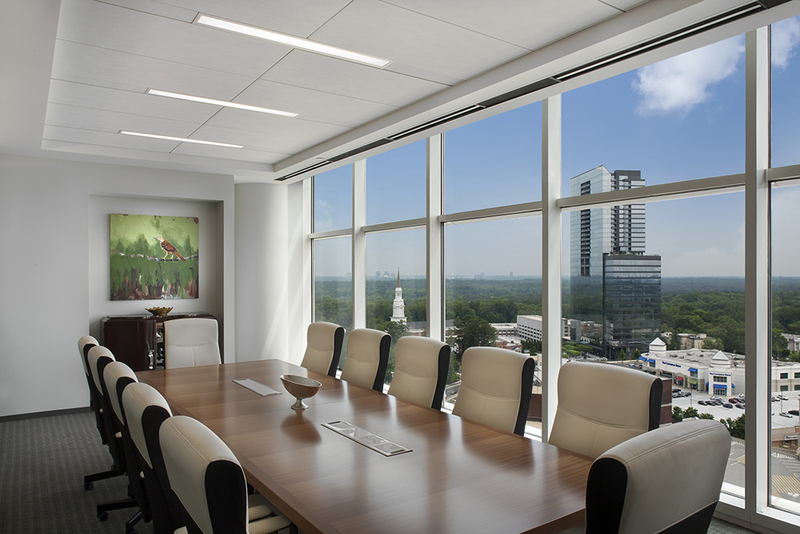 The project scope involved the renovation of half of the 15th Floor in the Pinnacle Building in Buckhead. 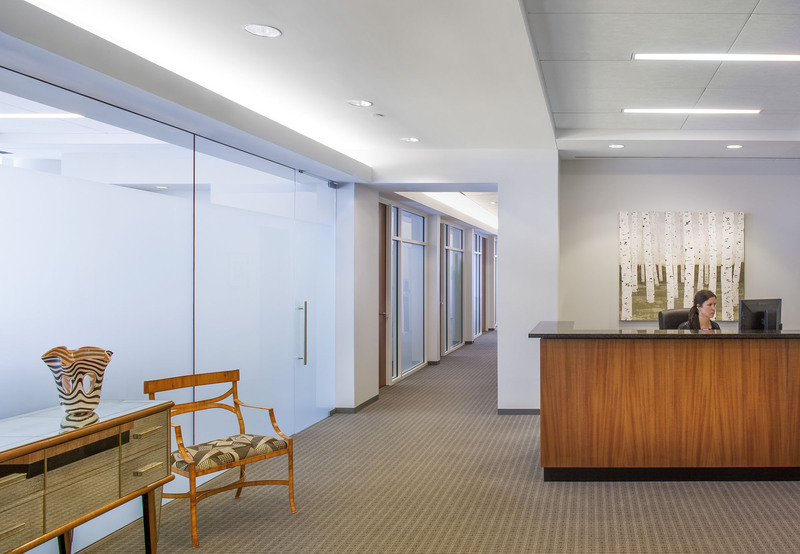 New additions included reconfigured partitions, finishes, cabinets, a reception desk, ceilings, and interior windows and doors to complement the existing conditions. The scope of work also included upgrades to lighting, and hvac. The new conference room reveals a blanket of trees below.